Ukraine is a eastern Europe country in possession of 19 international airports, some of which are currently closed due to war over Crimean peninsula with Russia. If you’re travelling to this beautiful country affluent in natural resources, check out our short guide and see which airport is the most convenient one for you. Boryspil Airport is an international airport in Boryspil, 29km east of Ukraine’s capital Kyiv. It is the largest airport in the country, serving 65% of total passenger traffic. Boryspil International Airport is a member of Airports Council International. 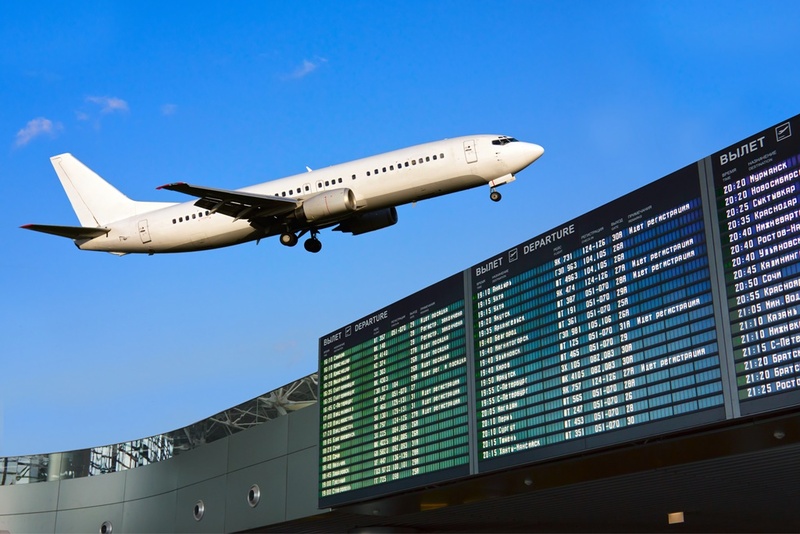 The airport is easily accessible by an intercity bus or a shuttle bus. The shuttle bus runs between the terminals and the airport hotel. The Sky Bus company provides a connection between the airport and Kyiv’s Main Railway station Pivdenny via Kharkivska metro station. This airport is known for many delays and cancellations of the flights, so brace yourself with patience and time. Kyiv (Zhuliany) Airport is also known as Igor Sikorsky Airport. It is one of the two commercial airports serving the area of Kyiv city. Kyiv Airport is also the main business aviation airport in Ukraine, and one of the busiest business aviation hubs in Europe. The airport is only 7km of the city centre so it is not a problem to reach it. It is enlisted in the three best airports of the world in the category “International airport for small and medium-haul aircraft, up to 4 million Passengers” under The World Routes Awards 2013.
International airport in Odessa is serving the area of the country’s third largest city. The airport is situated 7km southwest of the city centre. It serves both domestic and international flights to several European and African destinations. Lviv Airport, also known under the name of Danylo Halytskyi Airport. is an international airport in the city of Lviv. It is situated 6km from the city centre. The airport is named after Prince Daniel of Galicia, the historical founder of the city. Kharkiv Airport is an international airport serving the area of country’s second largest city. The airport is located southeast of the city centre. It features mainly charter and seasonal flights. Dnipropetrovsk Airport is an international airport for the same named city. It is located 15km southeast from the city centre. Zaporizhia Airport is an international airport which serves the area of Zaporizhia and one of the three main airfields around the city. Ivano-Frankivsk Airport is an airport in Ivano-Frankivsk and it is situated 4.4 kilometres from the town centre.